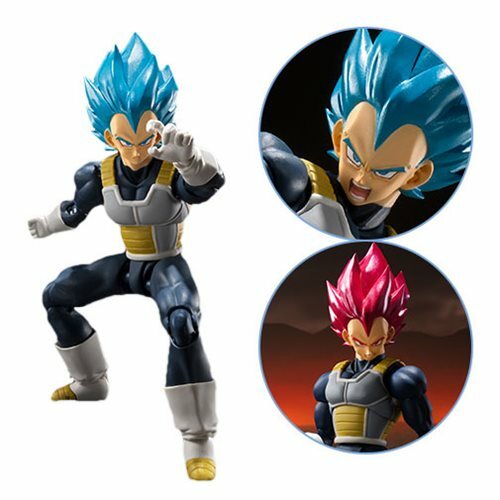 Vegeta from the movie Dragon Ball Super: Broly joins the SH Figuarts series. The Dragon Ball Super: Broly Super Saiyan God Super Saiyan Vegeta SH Figuarts Action Figure has accurate sculpting and incredible posability. Measures about 5 1/10-inches tall.